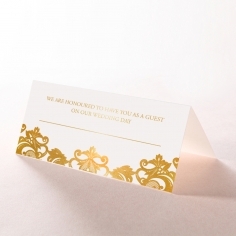 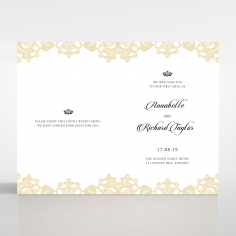 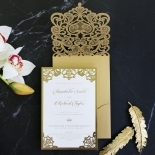 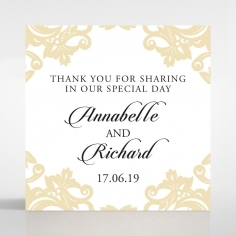 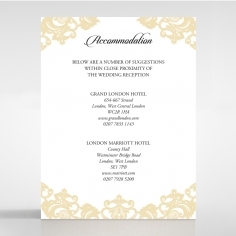 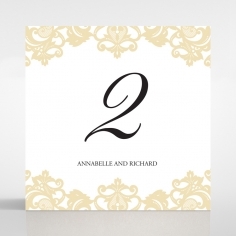 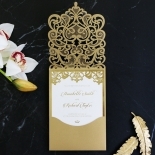 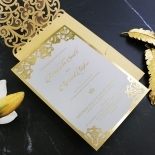 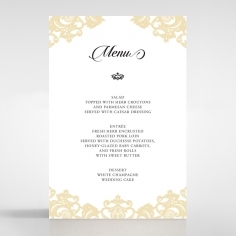 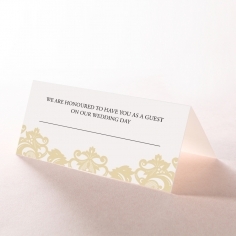 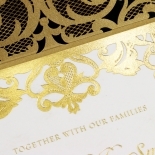 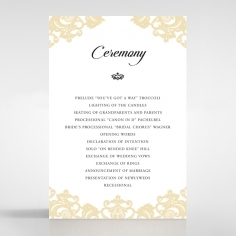 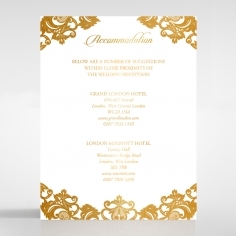 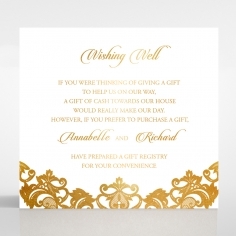 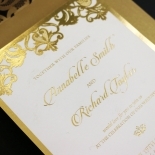 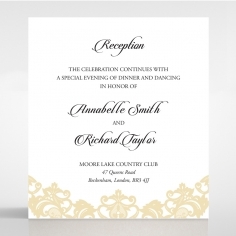 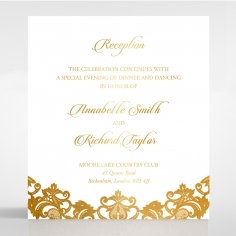 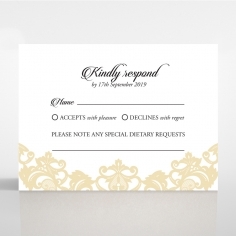 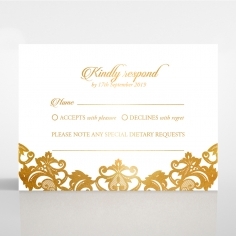 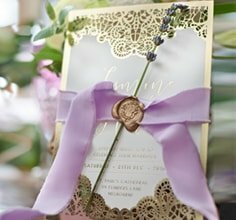 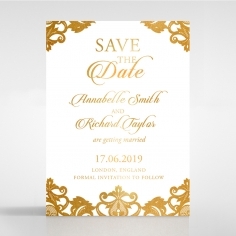 If you are looking for a lavish way of inviting your loved ones and friends to your wedding ceremony and reception, then this elegant invitation is your best way to do it. 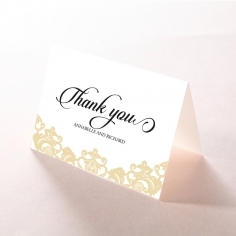 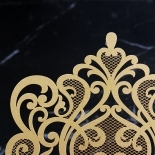 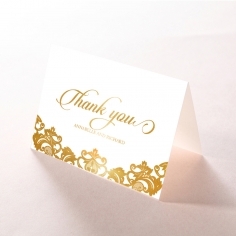 It is the epitome of grandeur with its breathtaking design by laser cutting and superior quality. 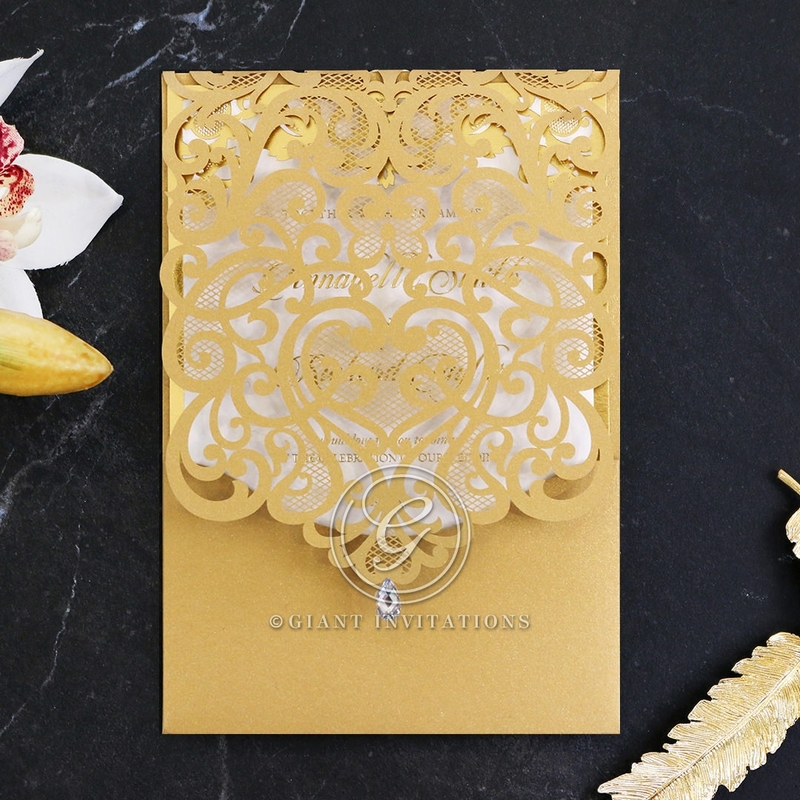 The pocket features elaborate laser cut patterns thanks to leading edge technology to produce magnificent works of art as an invitation. 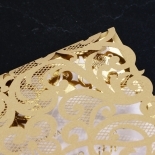 Only superior gold pearl stock is used for the pocket with baroque detailing on the flap and a charming single stud on the tip as its icing. 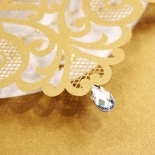 When the flap is lifted, a glamorously foil embellished inner card is revealed to take your breath away. 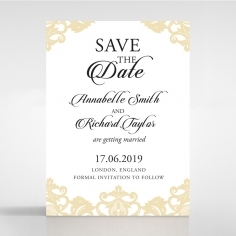 While our designer recommends the typography on this design, you can opt for another font style to suit your personalities.